Lenovo making its own Surface tablet rival? Not content with ThinkPad Tablet 2, Lenovo is reportedly working on a second Windows tablet set to take on the Microsoft Surface. According to the Wall Street Journal, Lenovo and Nvidia are joining forces to produce a tablet which features a flip-out keyboard, similar to the Surface. The report suggests that the slate will run Windows RT – the version of Windows 8 built specifically to run on ARM chips – and feature "a keyboard that flips around", so give a more traditional netbook setup. Asus has witnessed great success with its Transformer Pad series of tablet-come-notebooks, and Microsoft and Lenovo clearly want to get in on the action. With Nvidia on board, we can expect Lenovo's second Windows tablet to boast decent graphical power, with the likelihood of the quad-core Tegra 3 processor being housed inside the tablet, helping to run some console-quality games. 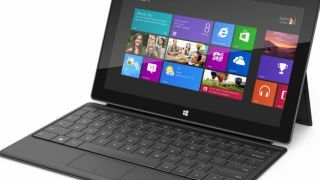 This news has come from sources "familiar with the matter", so we can't be 100 percent sure if it's all legit, but with a host of Windows 8 tablets set to launch alongside the main operating system on October 27, we shouldn't have to long to wait.